High quality Rock Points and Shoes for concrete piles. Can be custom fabricated to any size. Up to 40″ square or round piling. Used to protect the end of the pile while driving through soil without heavy rock or boulders. The Pile Shoes must be attached to pile during casting. Protects the pile when driving in rock and anchors the pile even on sloping rock. The Rock Injector must be attached during casting. 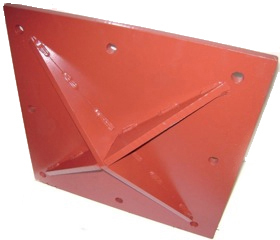 Custom made to attach in the field with “wedge anchors”. 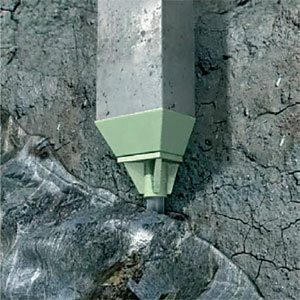 Plate Points are designed to provide protection when driving into soil without rock. They can be custom fabricated to any dimension.